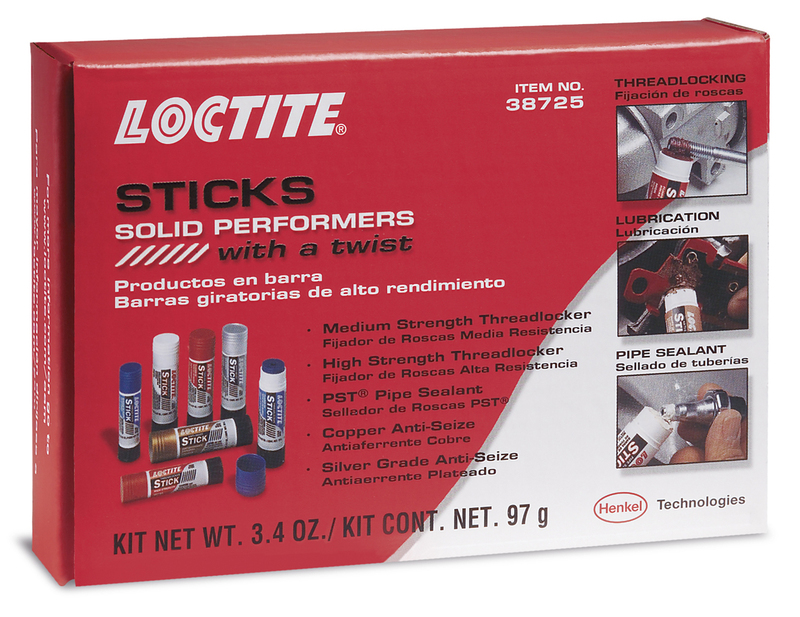 LOCTITE® patented stick products offer great flexibility for tough applications, especially overhead, and on components that cannot be moved. They’re compact, making them easy to carry from job to job and easy to store in a toolbox, tool belt or pocket. The solid formula also means they won’t spill or leak in toolboxes or on shop floors.